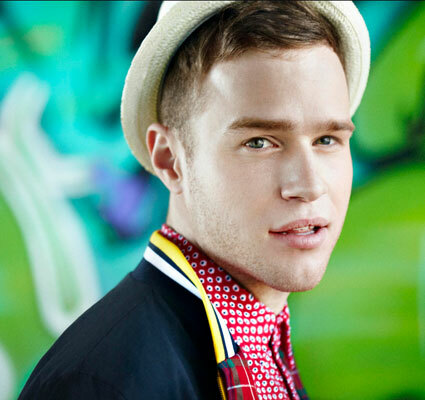 Get To Know - Olly Murs - Pop! Bang! Boom! Here at P!B!B!, I want to start a new segment called “Get To Know” (I say segment as if this is something you are watching or listening to). “Get To Know” will be kind of like “Listen Up”, except with people who aren’t new. When I write about an artist or group in my “Listen Up” section, it is usually because they are going to hit it big soon and I want you all to know about them before this happens (bragging rights are the best sometimes). “Get To Know” will be about people who have already made it big, but you may not know them. This is people who are big stars in other parts of the world, and who haven’t yet (or aren’t trying to) cracked the American market. For the inaugural piece, I’m going to write about one of my favorites: Olly Murs. I have mentioned Olly before (twice, actually), but only in passing. He deserves his own post for sure. Olly is a British singer songwriter who got his start on the British X Factor season six. He was the runner up (he lost to Joe McElderry, whom I will most likely also write about anyways), but that doesn’t mean he is doing second best. Since the show ended in December 2009, Olly has racked up seven top ten hits (including four number ones) and his albums have charted at numbers two and one, respectively. Olly is rocking the whole soul/old school pop thing that’s happening now. He is a poppier version of all of the pioneers of the genre (Adele, Duffy, Amy Winehouse, etc), and the British people have really taken to him. He’s a big star over there, and I think the US should get a taste of him. I can’t post his X Factor audition (I can’t find a copy of it that doesn’t have embedding disabled), but I will give you the link to it. Oh, and if the music wasn’t enough of a reason to love Olly, let me also tell you that he LOVES his gay fans and really respects them. So much so that he performs at gay clubs sometimes, and if you are at the right performance, he might give you a treat (such as when he was dared to…well…just look at the photo).